They say you can't improve upon perfection, but somehow Louis Krudo did just that. Welcome to the SNAG X, the latest development of the famous SNAG knife design that started it all. Nothing compares to the SNAG. Many have tried and failed, there simply isn't a replacement for perfection. The SNAG X combines expert design and manufacturing to create a sleek, yet balanced tool that you simply can't be with out. The SNAG X Live Blade Folder is presented in a black toned finish making it easy on the eyes.. Ready for action at a moments notice with the quick deployment technology only seen with a KRUDO Knife. Get yours now! 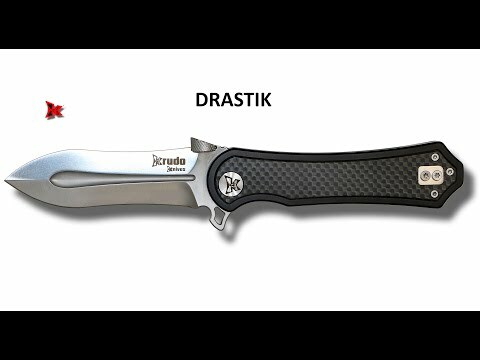 Embrace the DAO Folder knife and feel the quality that comes from KRUDO Knives' expert design and manufacturing. 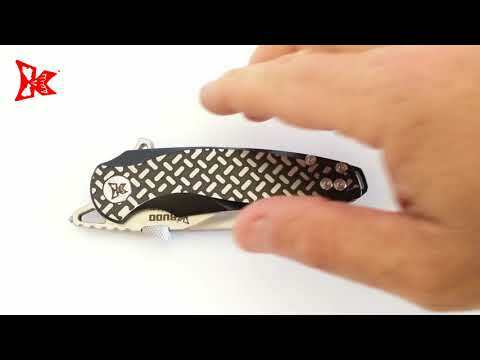 The perfect pocket knife for both self defense and daily usage such as camping and hunting. Every element of the knife has a purpose, from the sculptured grips providing extra hold, to the rapid and multiple blade deployment capabilities. Add the DAO Folder knife to your collection and feel confident that you are prepared for any situation that may arise.